Click on your district to see what's being offered in your area! Khaid is a senior at Furness High School in South Philadelphia. He has been a part of the GEAR UP program since the very beginning, as a 7th grade student at Nebinger School. Khaid has been an active member of GEAR UP and has participated in many of the grant’s events and programs over the years. He particularly enjoyed his experience traveling to the Boston area and visiting seven different universities during the summer of 2012. He also had a great experience participating in the ACE summer program at the Community College of Philadelphia this past summer where he took a criminal justice class and received college credit by earning an A for the course! Even with all the exciting, new opportunities, Khaid still points to his involvement with GEAR UP during the summer before 9th grade as his most impactful experience. Before entering high school, he participated in a GEAR UP summer program at Furness High School that gave him a taste of what the high school experience would be like. Having this early exposure helped Khaid become more comfortable in the high school setting and encouraged him to think and act with the future in mind. Today, Khaid is the Senior Class President at Furness High School and a multi-sport athlete. He is applying to Boston College, Millersville University, West Chester University, and possibly more colleges. As Khaid reaches the end of his high school journey, he expects GEAR UP will play a critical role in his transition again--this time from high school to college. When GEAR UP invited Jernell to go to the NACAC College Fair in New Jersey, she was excited at the opportunity to research different colleges/universities and figure out which schools best suited her. She never thought she would end up meeting the men’s basketball coach from a great college, that he would pass on her information to the women’s coach, and then she would be scouted to play college basketball! Thanks to GEAR UP, she will be visiting the campus soon to see if it is a good fit for her. Jernell also joined the Overbrook Robotics Team her junior year and became an invested part of the team her senior year. She has learned a lot of math and engineering, made some new friends, and overcame her fear of public speaking! The Overbrook Robotics Team recently participated in the BEST Challenge competition in Grove City, Pennsylvania. They made it to the semi-finals as a brand new team (after only working together for a full two weeks) and surpassed all the expectations that they set for themselves. 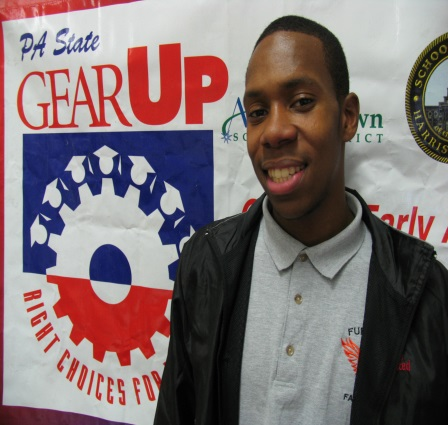 During the summer of 2013, Jernell participated in the GEAR UP Work Ready program and was placed at the West Philly Produce Site. During this experience, she learned how to network and connect with different sources, the best way to engage in customer service, and the power of discipline. She completed a few community service projects and learned the importance of team work. 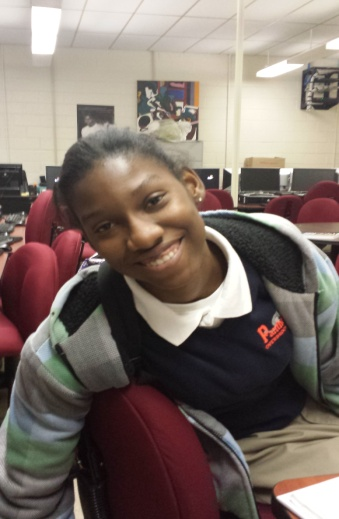 Chamoya has been in the GEAR UP Program since ninth grade. GEAR UP has taught her all she knows about college and college application requirements. She has attended a lot of workshops that prepared her for her senior year. Through GEAR UP, she was able to visit a lot of colleges, such as Harvard University, Yale University, and the University of Connecticut. She identifies GEAR UP as a group of supporters who have motivated her along the way, never letting her feel left out. To her - GEAR UP does not only encourage kids to go to college, but also engages students who think that college is not an option for them. 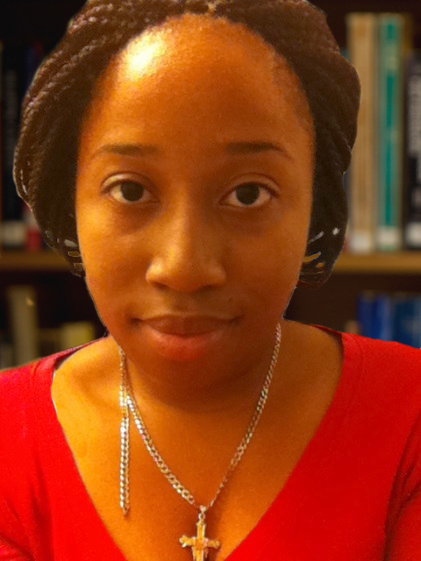 During the summer of 2013, Chamoya participated in the ACE Program where she took a college class at the Community College of Philadelphia, ultimately gaining three college credits upon her successful completion of the course. The ACE Program also helped inform her of the steps necessary to develop a successful and prosperous career plan. 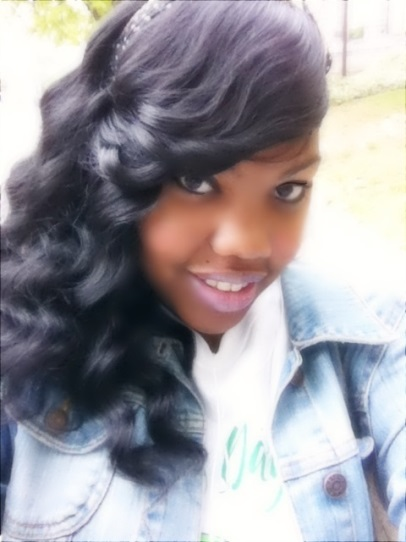 For Chamoya, GEAR UP has been an instrumental program in helping her achieve her college dreams. GEAR UP has helped Karen build a resume, get an internship, and has given her the opportunity to take college courses over the summer of 2013. GEAR UP also assisted Karen with registration for the SAT exam. For Karen- GEAR UP helped her to believe in herself and showed her that hard work and dedication can lead to success in college. GEAR UP motivates her to do things with her life that she never thought possible.